I’ve added a new hike at my website. You can find more details here: Angel Falls Rapid Trail. Angel Falls Rapid Trail, which is 3.6 miles roundtrip, is located in Big South Fork National River and Recreation Area, which straddles the Tennessee-Kentucky border. From the early Native Americans who hunted the area to the more recent inhabitants who mined the land for its coal, the Big South Fork area of the Cumberland Plateau has seen a lot of history over the past 12,000 years. The Cherokees that lived in the area were pushed out by the arrival of fur trappers in the late 1700s. By 1810, the first pioneer settlers arrived to build farms and mine saltpeter. Following the Civil War, the land was mined for coal and stripped of timber before its oil and gas resources were developed. 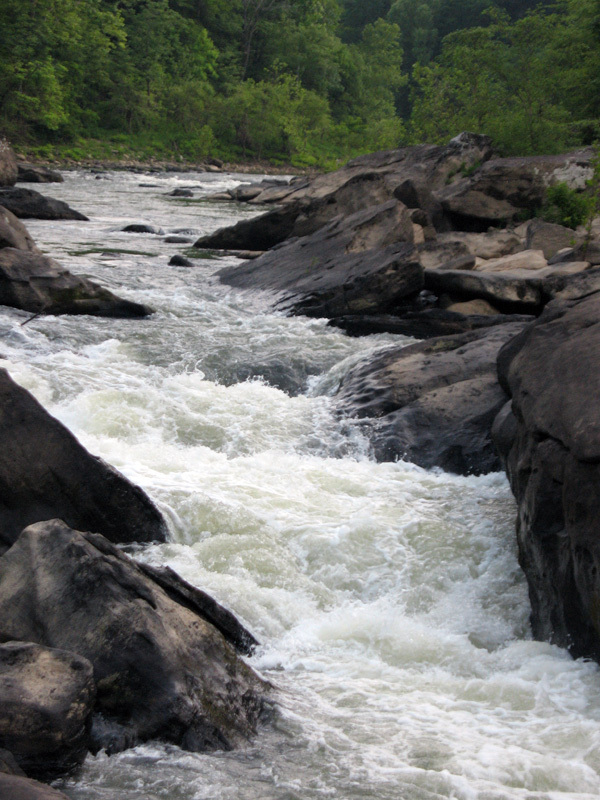 The 125,000-acre park features waterfalls and numerous rock formations as well as its famous river. The constantly moving water that eroded the sandstone and shale that make up the top layer of the plateau caused the park’s distinct features. The limestone beneath layer beneath contains the parks oil and gas deposits. The park also features a wide variety of wildlife arranging from Black Bear and Elk to 60 species of fish and 160 species of native and migratory birds. Directions: There are numerous ways to access the park depending on which section you wish to visit. You can reach the Bandy Creek Visitor Center (from which you can get more information) by taking US 27 north from Interstate 40, Exit 347, to Oneida. In Oneida, turn left (west) on Tennessee 297 and travel about 15 miles. The Visitors Center and Bandy Creek area is to your right after you cross the Big South Fork River. There are also Visitors Centers for the park in Rugby and Crossville (which is on Central Time). 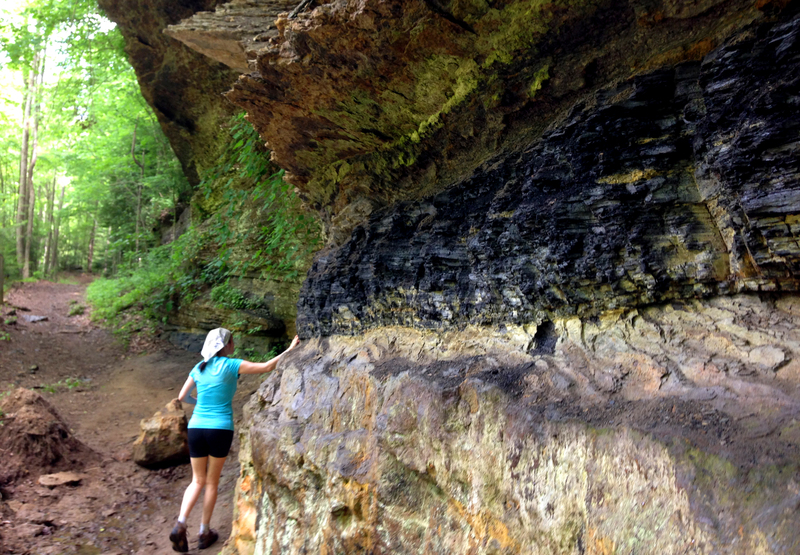 An exposed coal seam located along the trail.